Danbury, Conn(September 23, 2015) - On the heels of gaining further FDA approvals for Addivant’s™ WESTON® 705 liquid phosphite antioxidant, global polymer producers have accelerated their commercial production trials to take advantage of WESTON® 705’s superior performance in protecting the polymer during its total plastic life cycle and its clean bill of health from food safety regulatory authorities worldwide. 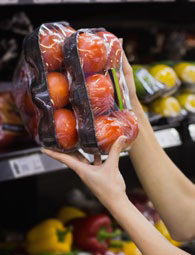 With wellness and healthy food trends driving most of the growth in the food industry, the packaging industry is placing a new level of scrutiny on the regulatory approvals of the different materials used to produce plastic articles. Large global Consumer Packaged Goods companies, who have moved away from nonylphenol-based additives, are now looking to the changing world of global food contact regulations where new and more stringent testing requirements have been introduced. WESTON® 705 is the first nonylphenol-free liquid phosphite antioxidant to receive broad FDA and global food contact approval and today it is the most tested polymer antioxidant ever put on the market and the only one that has successfully passed these new higher standards. To expedite commercial production trials, Addivant has engineered WESTON® 705 to enable optimal resin processing allowing for higher extrusion output and reduced down times. The higher performance of WESTON® 705 also helps to better protect the polymer against degradation caused by heat and exposure to the atmosphere improving the optical performance and reducing the generation of gels in the finished plastic articles well-known problems in the packaging industry. Addivant™ is an innovator in the field of polymer additives, developing tailored solutions that provide customers enhanced application performance, safe handling, and reduction in cost of use. The company is recognized industry-wide for its extensive portfolio of specialty additives including antioxidants, light stabilizers, rubber additives, polymer modifiers, metal deactivators, polymerization inhibitors and intermediates. Addivant is an international company, with 11 plants on five continents, as well as research, manufacturing and sales facilities around the globe. Addivant maintains its global headquarters in Connecticut, USA with regional headquarters in: Al Jubail, Saudi Arabia, Basel, Switzerland, and Shanghai, China. Addivant is an independent portfolio company of SK Capital. Visit www.addivant.com for more information. Addivant™, WESTON®, ANOX®,POLYBOND®, LOWINOX®, ULTRANOX®, GENOX®, NAUGARD® and FLEXAMINE® are trademarks of Addivant.